Women have been making significant contributions to the evolution of music long before now. Female Forte recognises female composers and musicians from past to present and their impact on the world of music. It is undeniable that women were significantly underrepresented in the classical music era. Whether they were overshadowed by their husband’s accomplishments, constrained by societal structures or inhibited by traditional gender roles of the era, women were rarely afforded the opportunity to share and showcase their musical talents, and certainly never at the same level as their male counterparts. Fast forward to today and the musical landscape at-large is indeed changing, however the gender gap and under-representation of women remains. In Australia, Nicolette Fraillon, the Australian Ballet’s Music Director and internationally renowned conductor and musician in her own right openly called out gender inequality in the classical music world. Abroad, Marin Alsop, the first woman to conduct the Last Night of the Proms in its 118-year history acknowledged the progress towards inclusivity in classical music, but emphasised that the progress is painfully slow and it needn’t be. Women have been making significant contributions to the evolution of music long before now. Their voices, compositions and artistry are worthy of attention, exploration and celebration. Female Forte recognises female composers and musicians from past to present and their impact on the world of music. 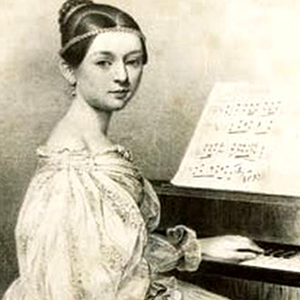 Clara Schumann (nee Wieck) was a unique female force of the classical music era, specifically during the 19th century. At a time when women (except for singers) rarely performed in public, Clara not only played the piano, but she also composed her own music (despite her compositions remaining largely unknown and unheard until the latter half of the 20th century). Spanning lieder and fugues to chamber and orchestral works, Clara’s virtuosity is often over-shadowed by the revolutionary compositions of her husband, Robert Schumann and his tragic death. However, the role Clara played in his life was critical to his musical success and classical music history. Clara was a child wonder, receiving daily music lessons from her father in piano, violin, singing, theory, harmony, composition, and counterpoint. She practiced her learnings for a further two hours each day, honing her talent and developing her technique. At eight years of age, Clara met another gifted young pianist who was a guest at a concert she was performing at the home of Dr. Ernst Carus: Robert Schumann. This was a fortuitous meeting which ignited one of the most renowned musical and romantic relationships in classical music history – a ‘power couple’ if you will. At just 16 years of age, Clara composed her Piano Concerto in A minor – an energetic, sweeping and bold composition which demonstrated her authentic and original voice at such a young age, igniting an impressive career that spanned six decades. Throughout her career Clara created 66 pieces - 20 pieces for solo piano, four for orchestra and piano, 29 songs and cadenzas for piano concertos, and is highly regarded as one of the foremost pianists of the era. She gave the world premiere of Robert Schumann's piano concerto and was the first to publicly perform the work of Johannes Brahms. Clara also performed over 200 concerts with violinist Joseph Joachim and regularly performed the music of Frédéric Chopin. Clara’s career encountered ups and downs. History reveals that Clara’s relationship with Robert both inspired and inhibited her success. Robert would demand silence while composing, which prevented Clara from playing or performing herself. In their 14-year relationship, Clara gave birth to eight children and during this time continued to perform despite societal standards dictating that women were to support their husbands and be the primary carer for the family. When Robert died in 1856, Clara was only in her 30s. It was then she stopped writing music. 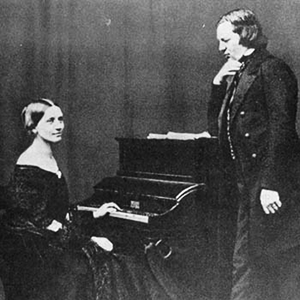 Later in life, Clara supported the music of Johannes Brahms who became a close friend following the death of her husband. Although she no longer composed music, she continued to perform and teach until the late-19th century, advocating her late-husband’s work throughout her career. Soundescapes will continue to showcase the stories of female composers and musicians from past to present and celebrate their impact on the world of music. Stay tuned. Melbourne Recital Centre’s Merlyn Myer Music Commission provides significant creative freedom to an accomplished female composer, foster her artistic development and provide an opportunity for her new work to be performed and heard in an outstanding performance setting?